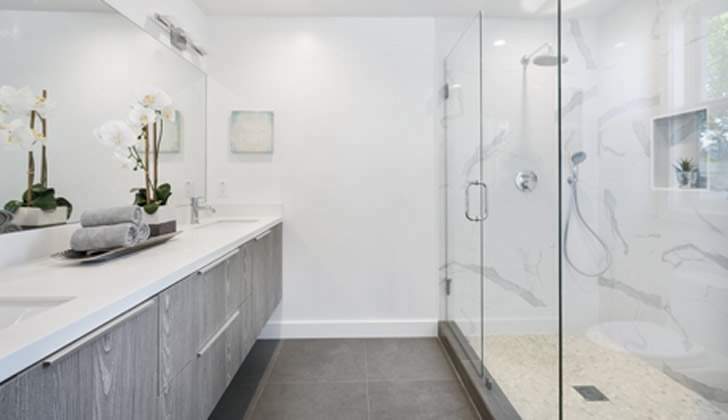 More often than not, bathrooms are one of the most neglected areas when it comes to lighting for a home, simply because they are seen as a place just for grooming and hygiene. But bathrooms nowadays are taking a more important role, particularly when it comes to relaxation and having the chance to unwind. With a beautifully lit bathroom, it is easier to relax and de-stress at the end of the day, and it is easier to groom and style yourself as well. So, what do you need to think about when designing lighting for your bathroom? Here’s a list of top tips for the best lighting for your bathroom. When you are choosing lighting for your bathroom, it’s important to think about a bathroom that is clean and bright, so you need to have enough task lighting as well as overhead lighting. But if you are planning to spend a lot of time in there, especially for relaxation purposes, you want an atmosphere that is also reminiscent of a spa - an atmosphere where you are encouraged to rest and relax. The best way to do this would be to install dimmers so you can adjust the lighting according to the mood you want to create. There are certain areas which require highlighting, such as the vanity area, which would benefit from the proper task lighting (one suggestion would be to install a fixture right above the bathroom mirror, or a set of sconces on both sides of the mirror). You may also want to consider placing lights in the bath or shower area, as well as lights that are mounted on the ceiling or are recessed for the bathroom’s general lighting requirements. If you would like to highlight a particular piece of art, a picture frame, a shelf, or a decorative element, make use of bathroom spotlights. You may also want to install LED strip lighting underneath cabinets mounted on the wall for extra illumination and dramatic effect. The most common mistake made in regard to bathroom lighting is simply not having enough lighting. But there’s another common mistake, which is installing too many fixtures which are recessed, making the ceiling look like it is filled with black holes. Also, when choosing lighting, try to avoid having the light pointed right down at your head, because this can be unflattering, and the light can be too harsh. It’s better to position ceiling lights or spotlights over a walkway so you can be illuminated from behind instead of right in front of the bathroom vanity. It’s also a mistake to create lighting which is asymmetrical - always make sure the lighting in the bathroom is symmetrical to give your bathroom a more uniform look.